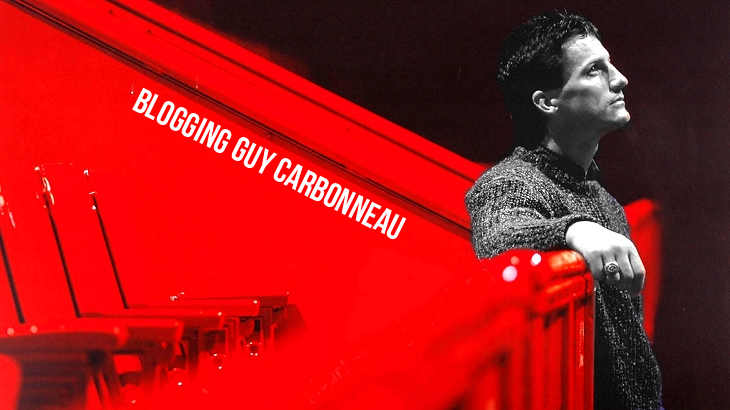 Blogging Guy Carbonneau: And we're back! The blog had a bit of a technical glitch for about a month with the domain's renewal, but now we're back! Thank you, readers, for your patience. "The team photographer at the time, Bob Fisher, was always ahead of his time, and he accompanied the team on a road trip to Hartford. Back then, we were very comfortable with photographers. 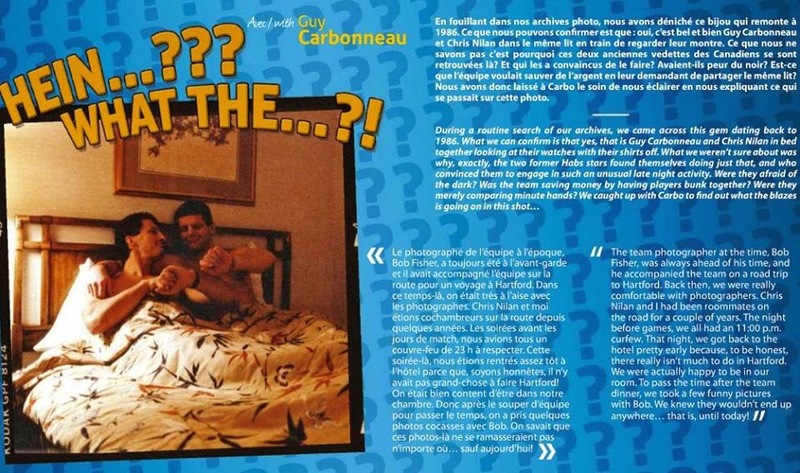 Chris Nilan and I had been roommates on the road for a couple of years. The night before games, we all had an 11:00 p.m. curfew. That night, we got back to the hotel pretty early because, to be honest, there really isn't much to do in Hartford. We were actually happy to be in our room. To pass the time after the team dinner, we took a few funny pictures with Bob. We knew they wouldn't end up anywhere...that is, until today!"